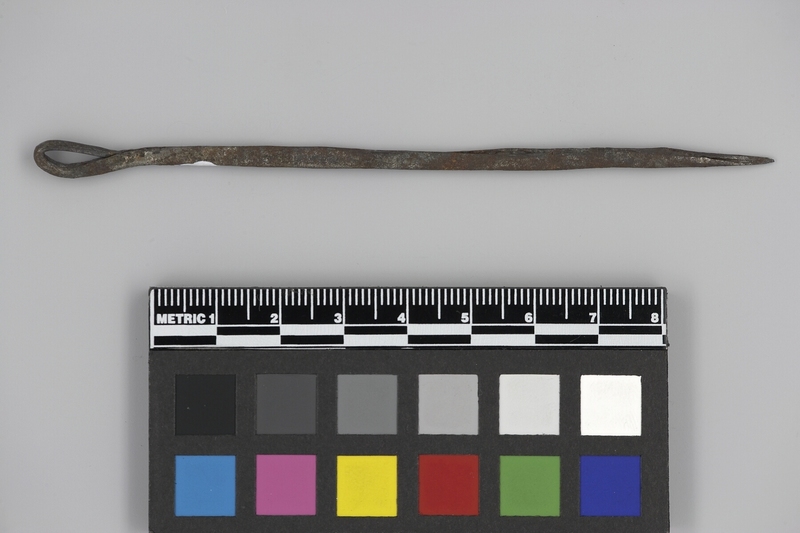 Item number K2.278 from the MOA: University of British Columbia. Plain metal needle. Pointed tip at one end. The other end curls over to create a loop, the end of which inserts into the side of the needle itself. Along this same length, the metal is folded over to close the needle length in a flat, cylindrical-like manner. For tie-dye or leather work.